We all love to post statuses and quotes about topics that we love. This could be a success status or quote, it could be about motivation, love or happiness, or statuses and quotes about any other topic. We post them on WhatsApp, Twitter, Facebook, Google+ and on other social networks. Everyone desires success in his or her life. This desire is for not only money, possessions or fame, but could be for other things too. We desire to make progress in education, improve health, reach far in sports, improve ourselves and change our habits. We read about success and dream about it, and sometimes, we write about it in the various social networks. Do you, like most people, search for inspirational sentences to post on your WhatsApp, Twitter, Facebook and other social accounts? To make it easier for you, I have written 75 such sentences that you can use. All I ask is to mention this page’s address as the source. You may use freely any of the success status and quotes on this page with a link back to this page. 1. Wish for the best and expect the best in everything. 2. Success starts in the mind. 3. Envision success in your mind and take action to make it true. 4. Small success is no less important than big success. 5. Wishing is not enough. You need to act. 6. The trick to being successful is closing your ears to the negative talk of other people. 7. Never, let anyone discourage you. 8. Everyone has the right to be successful. 9. If someone tells you it’s impossible, that does not mean that it is impossible for you. 10. Dream about success, but also work for success. 11. Dreams and work are a combination that leads to success. 12. Think good of other people, and they will be kind to you and help you. 13. Acting and doing even if you make mistakes is better than staying passive. 14. Every accomplishment starts as a dream. 15. Every accomplishment starts with a decision and taking action. 16. Every accomplishment encourages you increases your belief that you can do greater things. 17. Success is many things. It is money, prosperity, and possessions, but also self-improvement and spiritual growth. 18. Posting a success status in WhatsApp means that you want success. 19. Posting a success status in WhatsApp tells the world that I am successful. 20. 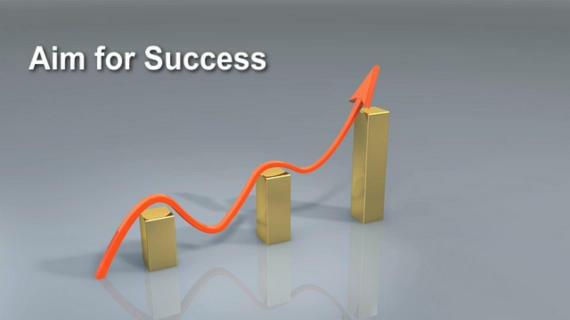 Posting a success status is a declaration of the desire to be successful. 21. You don’t have to be like others. Be a model for others to follow you. 22. Do not let failure and discouragement hold you down. 23. If you fail, immediately try again. 24. Failures lead to success, if you don’t let them discourage you. 25. Let go of the past and never let it hold you captive. 26. Let go of negative thoughts, replacing them with positive thoughts. 27. I want success and I will get success. 28. Success is rushing into my life. 29. Success is the only option. 30. Progress in meditation means success. 31. Progress in self-improvement means success. 32. Developing discipline, patience and perseverance lead to success. 33. Soon, difficulties would disappear and the bright sun will shine in my life. 34. Like clouds that pass and go away, so difficulties pass and go away. 35. Real success should include happiness, satisfaction and love. 36. Reading inspirational quotes keeps you inspired. 37. Reading success stories programs the mind to attract success into your life. 38. If you don’t like something, change it. 39. If you don’t like something and cannot change it, change your attitude. 40. Stay cool and calm in trying situations and you will find ways to overcome them. 41. Change of attitude leads to change of life’s situations and circumstances. 42. Always do more than you can do. 43. An extra step will lead you much further. 44. Do not resist change. Cooperate with it. 45. Change is inevitable. Do not resist it. 46. Doubts and worries are like chains that hold you down. 47. Break the chains that bind your mind and set it free. 48. Free your mind of all limitations, and you will learn to soar above them. 49. Determination and persistence lead to accomplishment. 50. I open my mind and eyes to see opportunities. 51. When a door opens, I have the courage to step in. 52. Decide what you want to accomplish, and take one step toward it every day. 53. I am part of the cosmic power that creates success. 54. Help people, and people would help you. 55. Be kind to people, and people would be kind to you. 56. Rejoicing in the success of other people opens the door of success to you. 57. Whatever other people achieve, you can achieve too. 58. Small daily achievements make life happier. 59. A calm mind in every situation is a great asset. 60. A focused mind is like a big torch that lights your path on your way to achievement. 61. The goods things of life are filling my life. 62. Every day of my life is a wonderful day. 63. I always focus on what I want, not on what I do not want. 64. Being truly happy for other people and for their accomplishments can attract similar opportunities into your life. 65. If you do not give up when facing difficulties, and continue with your efforts, you will eventually succeed. 66. Always, focus on your hopes, not on your fears. 67. Learn from your mistakes, but do not dwell on them. 68. Everyone has talents. Find out what are yours. 69. A strong desire leads to motivation, and this leads to action and to results. 70. Today is the best day to start. 71. The success statuses I post inspire the people who read them and me. 72. To inspire and motivate you, read inspirational quotes every morning before going to work. 73. Focus on your work and do it the best you can, even if you don’t like it. This would train and improve your success skills. 74. Live your dreams. Don’t live your fears. 75. Expect the best and do the best, and your life would start improving.